Culture and Sport Minister Miri Regev harassed while walking with her family in Tel Aviv. The state attorney's office announced Sunday that it was opening an investigation into a man who accosted Culture and Sport Minister Miri Regev and her family in Tel Aviv last week. Attorney Barak Cohen will be questioned on suspicion of committing offenses including harassing a public servant, invasion of privacy, and attacking Regev and her husband and daughter. Regev's office said that "this is an anti-Zionist anarchist and an extreme leftist who in the past harassed public figures. 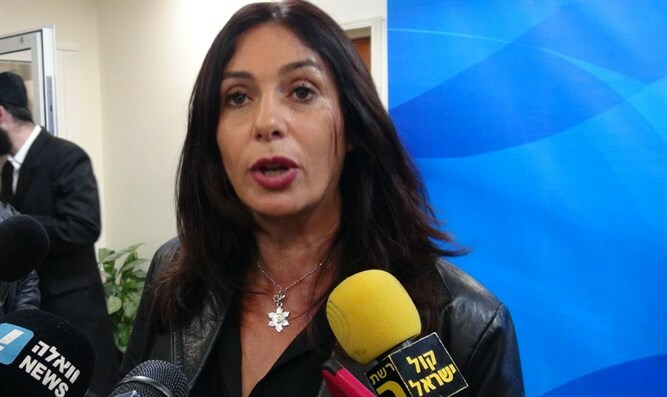 Cohen cursed, harassed and terrorized Minister Regev and her family. All the minister's attempts to ignore him were to no avail." The Culture and Sport Ministry's security officer filed a police complaint following the incident. Minister Regev said, "Today, my family and I were attacked on Dizengoff Street in Tel Aviv. Political figures and their families should not have to pay this kind of price in our society. Of course the police should take action as is required of them. We will not be intimidated by this man and his ilk. We will continue to work for the good of the people of Israel."